Date: Tuesday, May 14, 2019. 6:00 PM - Lecture will begin promptly. 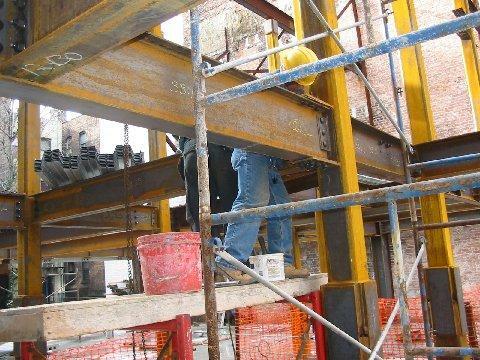 This presentation highlights some of the important changes in the 2016 AISC 360 Specification for Structural Steel Buildings, ranging from updated material standards to new shear strength provisions. 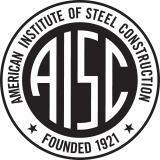 It also explores the changes in the 2016 AISC Code of Standard Practice, including two of the most significant: the generalization of the AISC Code of Standard Practice to include use of models, either in place of drawings or in combination with them; and an expansion of architecturally exposed structural steel (AESS) requirements to provide multiple levels of finish. The process of developing and adopting these standards is also discussed. This course will cover background of nondestructive testing and inspection of materials followed by a Q & A session. Components and assemblies will be evaluated for characteristics without the destruction of the sample. There will be an overview of visual inspection procedures, and the tools involved in inspection procedures. 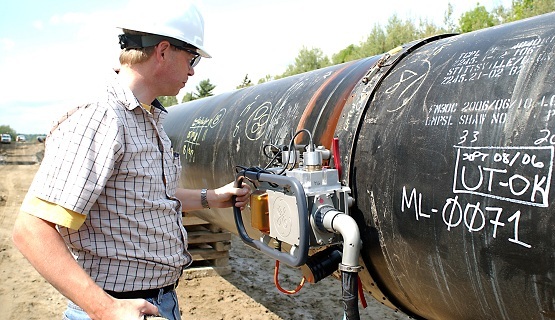 Principles of hydrostatic, liquid penetrant, magnetic particle, radiographic, and ultrasonic testing will be covered, as well as the inherent advantages and disadvantages of each method. It is also the purpose of this course to give learners the ability to select the appropriate testing method under different conditions for structure and material testing: to this end, the program will include a laboratory protocols discussion followed by discussion. Attendees will gain the following skills during this course: Exhibit basic knowledge of the different types of Non Destructive Testing methods including principles, testing process, equipment and data analyses for each specific method, understand the applications, advantages and limitations of each testing method and be able to select one or more testing methods under diverse conditions for structure and material testing. This notification is your invitation to join this PE's in Construction Lecture presentation to be held at Brooker Engineering headquarters on Tuesday, May 14, 2019. Refreshments and networking to start around 5:30 PM followed by the lecture which will begin at 6:00 pm promptly. Brooker Engineering is located at 74 Lafayette Avenue, 5th Floor, Suite 501, Suffern, NY 10901- T 845-357-4411 Ext. 101. This event is open to the public. Please spread the word throughout your organization. * 3. * If you are a non-member and would like to obtain an annual membership at a discounted rate and to attend the event as our guest, fill out your Name, Email Address and Phone Number below.